Seecomm Group helps clients connect with their customers. Seecomm Group was founded in 2002 to make it easier for client organizations to tap into expertise in strategically related disciplines. Since then we've helped hundreds of clients connect with their customers, members, and markets more effectively. LINDA IRWIN, MBA, is the founder and managing partner of Seecomm Group. Linda provides strategic planning, marketing strategy, brand development and communication services for clients. Following 10 years of owning an educational supply business, Irwin was VP of Sales for Scholastic Corporation, and led marketing departments at American Water Works Association and American Educational Products before creating her consulting business. Clients include Rockwell/Boeing, Harcourt Publishing, Regis University, Metech Recycling, Construction Owners Association of America, and more. Most recently, Irwin helps clients develop sustainability strategies. Irwin is affiliate faculty at Regis University, where she was recently appointed Lead Faculty for Marketing. Irwin has authored several courses for the undergraduate and MBA Marketing program and was awarded Regis University Excellence in Teaching Award. 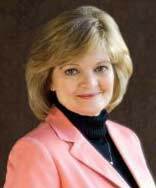 Ms. Irwin served on the Board of Red Rocks Country Club and provides presentations to national and international business organizations and trade groups. JUNE M. SEEFELDT began her graphic design career at large agencies in Denver and Los Angeles before establishing her own independent design company. Her work for clients such as Sesame Street, National Geographic, LEGO, Apple Computer, Texas Instruments, Novell, Honda, McDonalds, Taco Bell, and Macy's spans the creative gamut. June designs optimized websites, basic print materials, high end marketing brochures and catalogs, ebooks, book covers, software packaging, PowerPoint presentations and more. June has a BFA in Fine Arts from University of Colorado and creates images that represent the spirit and mission of an organization. MICHAEL CHAPMAN helps organizations work better through broad-based organizational and business improvement programs. Past clients include IBM, Storage Technology, Hewlett Packard, Sun Microsystems, Lafarge Building Materials, Polaroid Corporation, Ball Corporation, and McKee Medical Center. Prior to becoming a management consultant, Michael's experience includes Director of Quality for Celestial Seasonings, Divisional Director of Engineering and Quality for Witco Corporation, and Technical and Operations Manager for James River Corporation. Michael is a Senior Examiner for the Malcolm Baldrige Quality Award and is the founder and former President of Colorado Performance Excellence. KARIN HENDERSIN was Project Director at Burke Marketing Research for ten years where she designed and conducted research for the nation's largest companies and brands including Proctor & Gamble, Kellogg, Clorox, Coca-Cola and many others. Her professional work spans 25 years of quantitative and qualitative work for associations, educational organizations and businesses. Karin's study on public school Internet usage was published on the New York Times website. Her work for associations includes membership satisfaction studies, conference & exhibitor evaluations, readership and website usage studies, advertising studies and industry compensation and new product evaluations. JAN MAHAN developed and perfected a strategic sales system that generates profitable results for non-profit, not-for-profit, business-to-business, and publishers. Her sales training and management work with McGraw-Hill, Kinko's, Scholastic and many associations demonstrate the system is transferable to many business environments. Jan gains a thorough understanding of clients' needs and related information, forms a mutually beneficial bond with the customer and delivers incremental revenue for organizations. Jan's sales leadership experience includes organizations like IBM, Microsoft, American Water Works Association, Education Commission of the States and the American Heart Association.